Next, this idea needs the structure for real moving in prototype model. 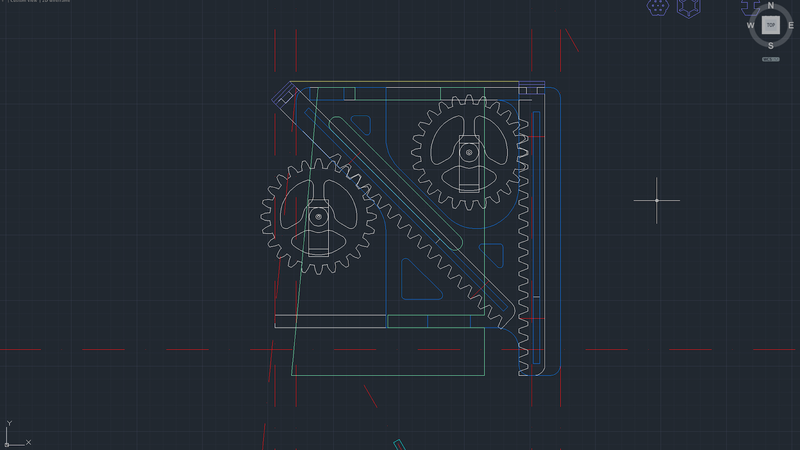 So, schematic arrangement proceeded from previous animation and shape test in 3d program. The 3d program is good for making actuating model in directly. And this simulation will be moved to 2d drawing with specific dimension for real model plan. With these test, the 2D drawing proceeded for making specific module prototype model. 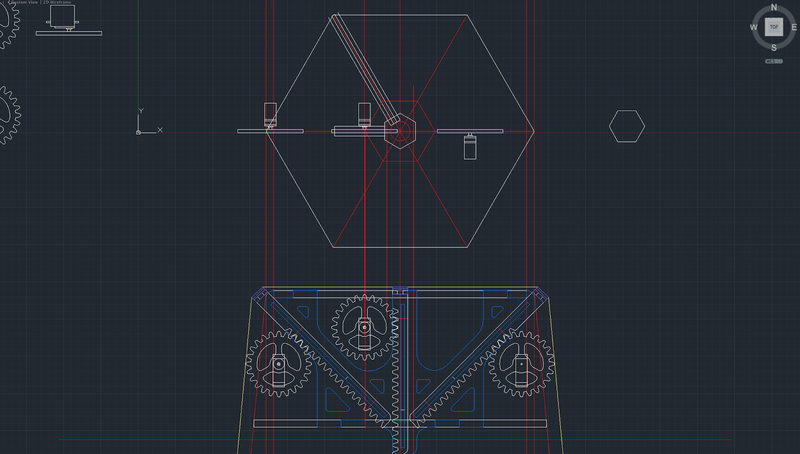 The module will be first plate in this test ver and it has 7 vertices for actuator servo. It needs the test for rack and rail movement for linear action and structure for standing the weight of sitting person. 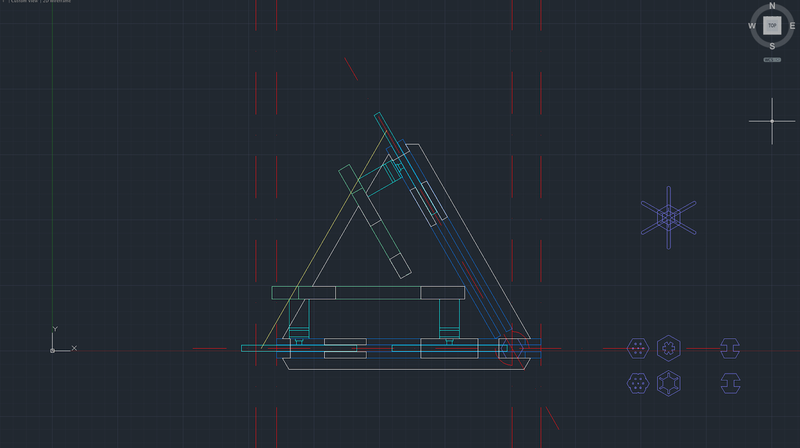 But, the module size is too big for simple test, so I changed the object to just the one triangle of top floor. 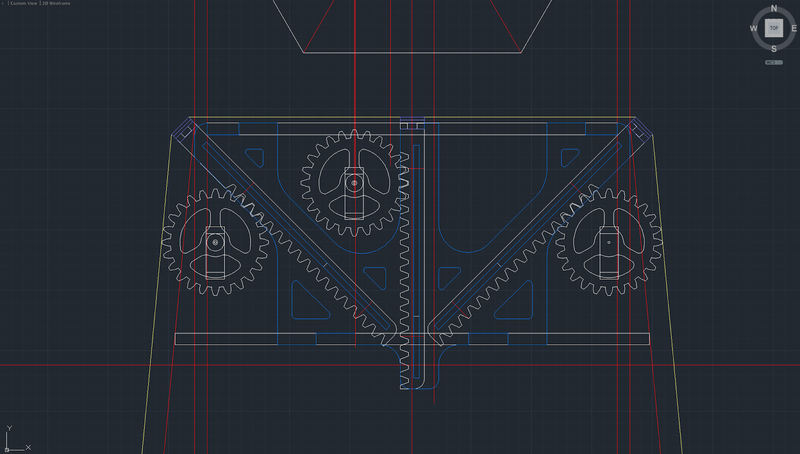 And I trimmed the drawing through cad program for making real module prototype model. The module model will be made by laser cutting with MDF board. These are the drawing for cutting.